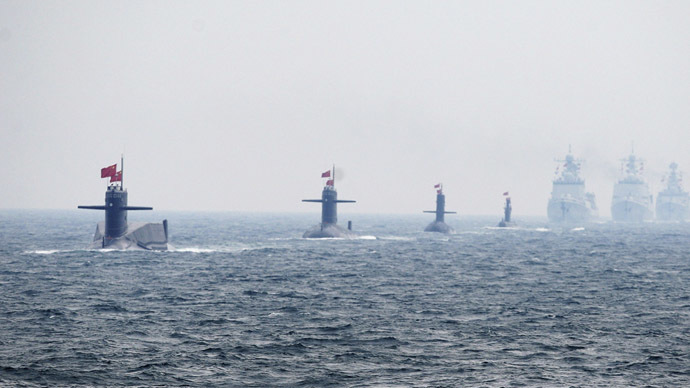 The Chinese Navy now has more diesel and nuclear attack submarines than America does, a US Navy admiral told lawmakers. Some of them are “fairly amazing” and Beijing is exploring new ways of projecting its power on the seas. The Chinese are experimenting with new geographic location, length of missions and new weapons, Vice Admiral Joseph Mulloy, deputy chief of naval operations for capabilities and resources,toldthe House Armed Services Committee's Seapower Subcommittee on Wednesday. The Chinese naval missions included at least three deployments into the Indian Ocean, Mulloy told the committee. They can also send strategic ballistic missile submarines on missions lasting for 95 days. The US Navy reported having 71 commissioned submarines. The Chinese, according to Pentagon estimates voiced last year, has 77 principal surface combatant ships, more than 60 submarines, 55 large and medium amphibious ships, and about 85 missile-equipped small combatants. Despite having world largest defense budget, the US has been looking wearily at other nations building up their armed forces. China is investing heavily in new technology, seeking to project its military power in the Pacific region. Washington has repeatedly criticized Beijing, saying it’s using its military to put leverage on other regional players, including US allies like Japan and South Korea, in territorial disputes.